Different regions of the U.S. think of environmental issues differently. Luke Fowler, assistant professor in the department of public policy at Boise State University, determines citizens want environmental protection, but come to different conclusions on who should provide it. 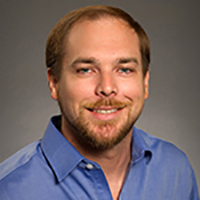 Luke Fowler, Assistant Professor in the Department of Public Policy and Administration, completed his Ph.D. at Mississippi State University in 2013. His research interests include policy implementation, energy and environmental policy, state and local government, public management, public budgeting and finance, and organizational theory. He has written articles for State and Local Government Review, Journal of Public Budgeting, Accounting, &amp; Financial Management, Environmental Politics, International Journal of Organizational Theory &amp; Behavior, California Journal of Politics and Policy, Journal of Environmental Assessment Policy &amp; Management, and Electricity Journal, and has presented papers at numerous conferences including the annual meetings of the Southeastern Conference on Public Administration and American Association of Public Administration. Dr. Fowler also enjoys working in consultation with local governments. Some of Dr. Fowler’s recent consultation includes focus groups on fair housing for Valdosta, GA and a compensation and scheduling study of police and fire for Moultrie, GA.
A Gallup poll from March 2016 found that a majority of Americans favored environmental protection over both economic growth and energy development. And while these same respondents expressed concern over a variety of environmental conditions, only 42% self-identify as environmentalists, down from 78% in 1991. While these trends seem to be contradictory, environmentalism is much more than support for environmental protection and concern for conditions. Environmental attitudes are complex and come in many shapes and forms. In today’s world, environmentally concerned citizens do not have to fit into stereotypical ideas of environmentalism from previous decades. Rather, they can find ways to rely more on public or private institutions or themselves to find solutions to their local environmental problems. Recent state-level findings on environmental attitudes indicate that the Western and Northeastern states are among the most environmentally-supportive regions in the US. However, those living in the Western states prefer a greater reliance on both private businesses and individuals, rather than public institutions to address environmental issues. On the other hand, the Northeastern states prefer public institutions to fill that role. These trends are related to a wider political culture that prefers individualism in the West, and government as a solution in the Northeast. Communities in these states have responded to public opinion by shifting the environmental responsibility to create policies that are both environmentally responsible and adhere to local beliefs. Environmentalism comes in many different shapes and forms, and citizens should consider which shape and form candidates are advocating in the upcoming elections as not all environmentalism is equal. They should also remember that much of the work of protecting the environment happens at the state and local level where large variations in public attitudes exist, so the race for the White House isn’t the only election that matters this year.